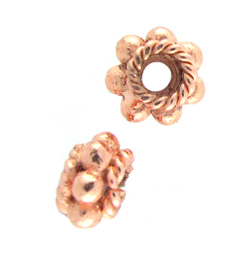 Bright Finish Copper Daisy Beads. Each measures approximately 7mm. Sold in packs of 10. Picture to follow soon - this is the same bead as the Antique Finish Bead 04, but in bright copper!